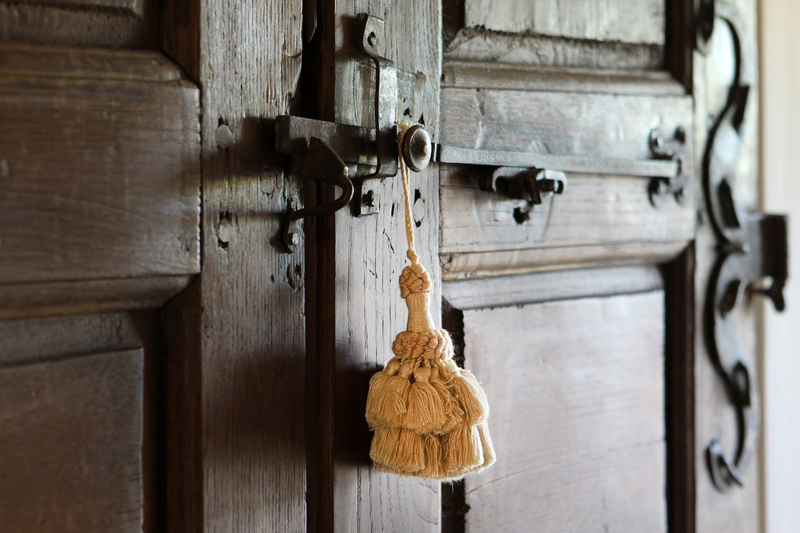 All serene, bright, and spacious, each room at La Bastide is decorated in its own unique style to offer the most refined wellbeing. A few steps from the main house, the old barn has been transformed into a charming duplex suite nestled within the truffle oaks. As you relax under the shade of the oaks, you can enjoy a stunning view of the Provencial Giant – Mont Ventoux. When you are ready to retire, climb the beautiful cast-iron staircase to your spacious bedroom built against the rock. On the ground level, the Josephine Suite is unique with its impressive, arched, vaulted ceiling dating back to 1776. It offers a private terrace with outdoor seating for a magnificent view of Mont Ventoux and the beautiful hilltop village of Gordes. It is the perfect setting for a romantic get-away. Verdigris and raspberry tones play magically off the antique furniture restored with a pantina fashion by YLG Home Style. 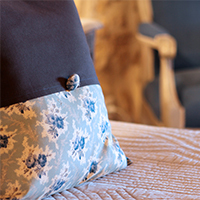 Located on the ground floor of La Bastide, close to the main living room, the Eugenie Suite is the former sheep stable of the house. It showcases a unique basket-handle arched ceiling paired with exposed stone walls. 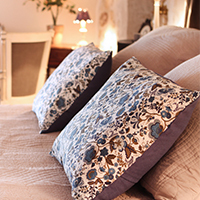 Emanating French elegance at its best within its gray-blue shades on the walls and fabrics and with furniture restored in a patina style by YLG Home Style, Eugenie will seduce you into an atmosphere of comfort and tranquillity. 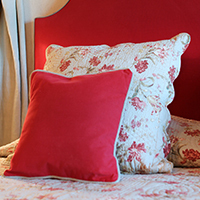 Located on the first floor of La Bastide, facing Mont Ventoux, the pool and the lovely Chapel of Our Lady of Graces, the Louise Suite offers two bedrooms. 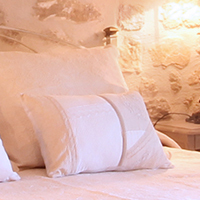 The master bedroom is enclosed with old stone walls and wooden floors. The attached bedroom (which can be used for children) offers antique terracotta flooring. Both are decorated antique furniture restored in a patina style by YLG Home Style. 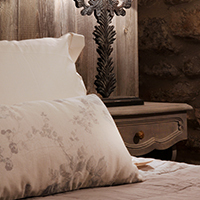 Traditional Toile de Jouy quilts and linen cushions exude an 18th century atmosphere without neglecting the comfort of modern day.